Dave Campbell is our Marketing & General Manager at SERVPRO of Tri Cities West. Dave is the main estimator for Fire/Bio Hazard jobs. He has been with the company since February 2013. He moved to the Tri Cities from Redding, CA. He has the following certifications from the Institute of Inspection Cleaning and Restoration Certification (IICRC): Water Removal Technician, Applied Structural Drying Technician. Dave Smith has been the Owner of SERVPRO of Tri Cities West since October 2005. He is the Head Production Manager. 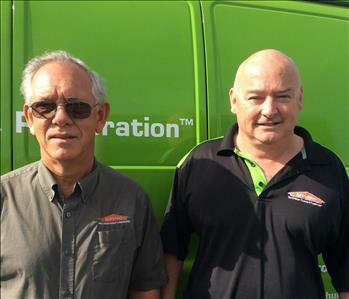 Dave was born in New York and moved to the Tri Cities years ago to take over SERVPRO. He has the following certifications from the Institute of Inspection Cleaning and Restoration Certification (IICRC): Water Removal Technician. Thank you Daves for all you do for us! 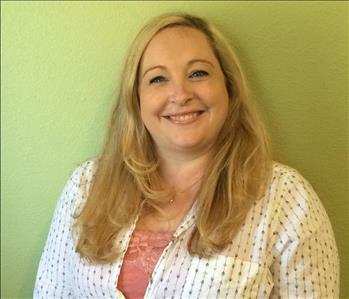 Michelle Haack has worked for SERVPRO of Tri Cities West since 2005. She is the Office Manager/Accountant. Michelle has the following certifications from the Institute of Inspection Cleaning and Restoration Certification (IICRC): Water Removal Technician, ASD AHERA Building Inspector. Lynne Antonson has worked for SERVPRO of Tri Cities West since 2009. She is the Restoration Coordinator/Estimator. Once the water damaged home has been mitigated and cleaned up; Lynne handles the put back portion of the job. She is also a receptionist for the front office. 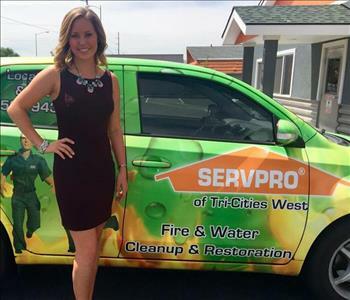 Brooklynne Emblem has worked for SERVPRO of Tri Cities West since 2014. She is the Administrative Assistant/Estimator. During her free time she also does the collections for the office. She is the front office receptionist who handles all in coming calls. She also has the following certifications from the Institute of Inspection Cleaning and Restoration (IICRC): Water Removal Technician. Kelsey Warner is our Sales and Marketing Representive here at SERVPRO of Tri Cities West. She has been with our company since February 2016. She is an Ambassador of the Tri City Regional Chamber of Commerce. Kelsey spends her days visiting local insurance agents and writing Emergency Ready Profiles for local homes and businesses. 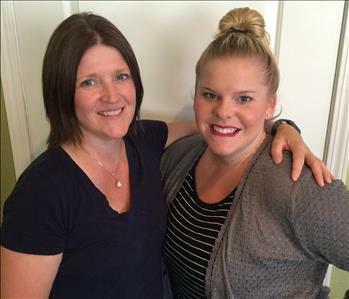 SERVPRO of Tri Cities West is pleased to have Kelsey represent SERVPRO in such a professional manner! 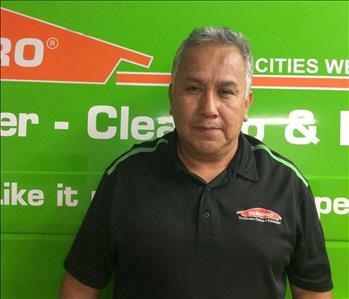 Jose Flores has worked for SERVPRO of Tri CIties West since 2006. He is our flooring installer and senior carpet cleaner. We have been lucky to have Jose on our team and we appreciate his expertise and professionalism. 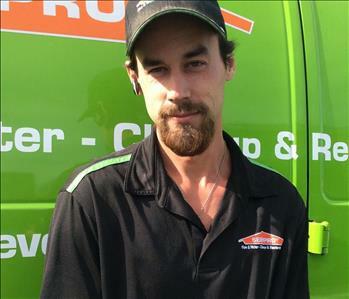 Adam Conner is a Production Technition at SERVPRO of Tri Cities West. He has over a year of experience and has the following certifications from the Institute of Inspection Cleaning and Restoration Certification (IICRC): Water Removal Technition. He takes pride in his hard work and we are pleased to have him on our team! Matthew Farnkoff is a Production Technician at SERVPRO of Tri Cities West. He has over a year of experience handling water damaged homes & buildings, inventory & bio hazard clean up. 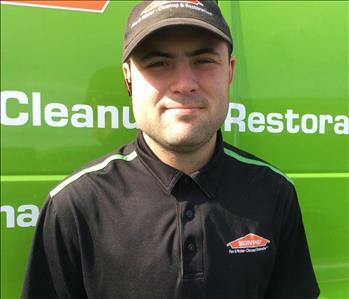 Matt has been very helpful working for SERVPRO. 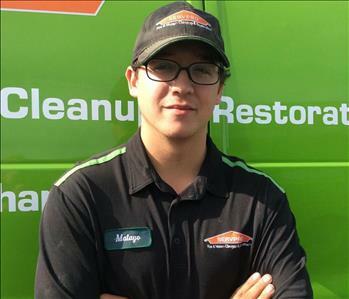 Matayo Hunter is a Production Technition at SERVPRO of Tri Cities West. He has experience in both water and fire. He has the following certifications from the Institude of Inspection Cleaning and Restoration Certification (IICRC): Water Removal Technician, Fire and Smoke Restoration. He is also a great employee and we are glad to have Matayo!